Figs rank among the earliest fruits grown by man, predating even pomegranates and grains. In 2006, Israeli archaeologists discovered ancient figs in an 11,000-year-old house in the old city of Jericho. From the Jordan Valley, a variety of figs were grown and disseminated throughout Asia Minor. A few of these varieties are native to the Indian subcontinent, including the cluster fig. Several countries have strong cultural ties to figs, and the fruit makes several cameos in religious and political narratives. For instance, the Hadith quotes Muhammad claiming that figs surely “descended from paradise.” Some Biblical scholars assert Eve covered herself with fig leaves, and Buddha himself purportedly achieved enlightenment while contemplating under a sacred fig tree in Bodh Gaya, India. Even today, the banyan (Ficus benghalensis) is India’s national tree with Hindu women flocking to it to receive blessings for a long and happy married life. The Ficus religiosa, also known as the peepal tree, has its own religious connotations its native region of India, Nepal, Bangladesh, Pakistan, and Sri Lanka. The Greek, Roman and Egyptian civilizations were fond of the fruit. Egyptians, for made pastries from figs and the Greeks forbade their export due to their high value. Romans considered the fig tree as symbolic of the civilization’s prosperity. As per 2011 figures from the UN’s Food and Agriculture Organization, the most prolific fig growing country is Turkey, followed distantly by Egypt, Algeria, Morocco, and Iran. Figs are a beloved, popular fruit in India. They grow well in several states including Karnataka, Tamil Nadu, Maharashtra, Gujarat and Uttar Pradesh. Though there are approximately 800 varieties of figs in the world, the poona is the most popular cultivar in India. Other funny named variants growing in the country are Indian rock, elephant ear, Krishna, weeping fig, dye fig, white fig, drooping, anjeer, mysore fig, ivy fig, hairy fig, fiddle leaf fig, laurel fig, soft fig, natal, Punjab, and climbing fig. 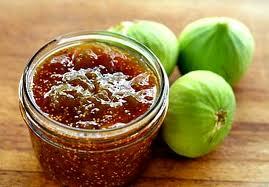 Finding fresh figs is difficult on account of the fruit’s sensitive skin and high perishability. If in a growing state, fresh figs are available in medium to high-end shops when in season. Fig season occurs twice a year: The first session is from May-June. The fruits produced in these months are acidic and sub-par compared to the figs produced in the cooler season of December through January. Though figs are not always available fresh year-round, several stores sell them dried. They are unfortunately not the cheapest fruits, though. Per gram, quality dried figs cost as much as almonds and cashews. In fresh figs, look for plump fruits free of marks and blemishes. Because figs have a tendency to develop small white mold spots on their velvety skin, inspect the entire circumference of the fruits before purchasing. Fresh fruits may be greenish purple, or dark, royal purple, depending on the variety. Calimyrna figs have greenish yellow skin. Underripe figs are similar to underripe apricots: hard, green, and do not give to the touch. Ripe figs are sensitive and delicate—when pressed, they yield slightly to indicate its jam-like interior. As is the case with peaches and other soft fruits, many vendors place figs near the counter to ensure the customer doesn’t touch the figs too hard and bruise the skin. With dried figs, packaging is the best indicator. Buy dried figs from a reputable dealer to avoid dusty, dirty and hard figs. Always check the expiry date, as Indian stores have a tendency to keep expired inventory on the shelves. Inspect the figs closely: look for fruits that bend easily and have no dusty coating. The taste of fresh figs is a treat: they have a mild, sweet, mildly earthy and unassuming flavor. The skin gives the fruit a tart aftertaste. The pink flesh is the sweetest, most robust section of the fruit. Its texture is like smooth fleshy jam, with nice crunchy seeds adding to a pleasant texture. Those used to the distinct taste of dried figs might be surprised by the gentle flavor of fresh figs. The taste of dried figs is a different experience. The texture is leathery and chewy; and the taste is more robust and sugary than its fresh counterpart. The interior of dried figs is a seedy thick paste of sweetness, though it’s not as sharp or cloying as dates. Eating a fresh fig after a dried fruit is like looking at two sisters: one is loud and extroverted, arguably prettier than the shy, timid and plain sister. One can taste the resemblance, but the difference is nonetheless striking. Figs are a powerhouse of nutrients and health benefits. Civilizations across the world have used figs in traditional remedies for centuries: In folk medicine, figs are used for arthritis, stomach upsets, and headaches. 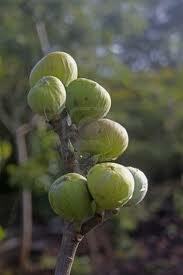 In South America, fig extracts are used to treat puffy gums, abnormal tissue growth and tumors. 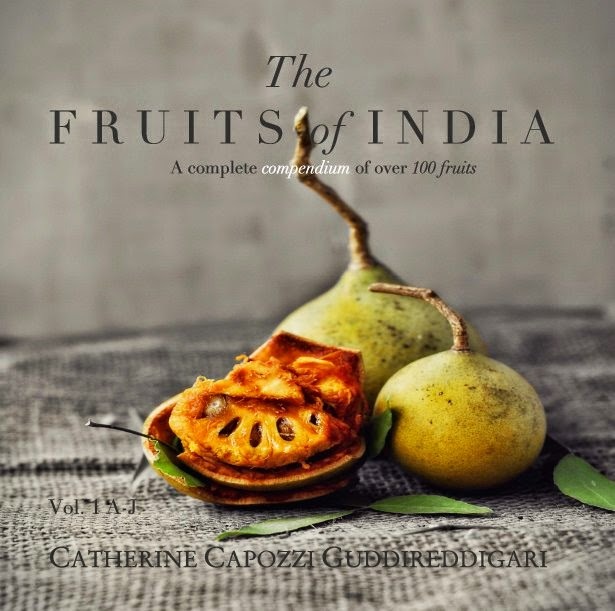 The book, “Indian Medicinal Plants” explains that cluster figs treated diarrhea, dyspepsia, and hemorrhages. Fresh fruits also act as an astringent, stomachic, carminative, and help manage menorrhagia. --According to a 2013 edition of Toxicology and Industrial Health, topically applied fig extracts illustrated skin protective benefits against dermatoxic effects. --A study published in the 2013 edition of Colloids and Surfaces indicates that Ficus religiosa leaves show anti cancer effects when tested against Dalton’s ascites lymphoma in mice. --One study published in a 2012 edition of the Evidence-Based Complementary and Alternative Medicine found that drinking fig stem extracts had a significant role in protecting animals from hepatic oxidative damage. --A study published in the 2013 edition of the Asian Pacific Journal of Tropical Biomedicine indicates that fig leaf extracts have anti-ulcer activity and was also shown to be nontoxic. --According to a 1999 study published in the Journal of Ethnopharmacology, fig’s latex exhibits anthelmintic activity against pinworms. As tested in a 2011 study published in the Journal of Applied Pharmaceutical Sciences, the fruit extracts of Ficus benghalensis are a more potent anthelmintic than Ficus carica and Ficus religiosa. --As per a 2007 study published in the International Journal of Dermatology, topically applied fig tree latex is nearly as effective as standard croyotherapy in removing warts. Additionally, fig treatment has no adverse side effects and a low recurrence rate. --A 2009 study published in the Journal of Ethnopharmacology shows that ripe dried fruit has antiplatelet activity and may have use in gut motility and anti-inflammatory disorders. --Ample studies point to leaf extract’s potent anti-diabetic properties: for instance, a 2003 study published in Acta Diabetologica reveals that fig leaf extracts normalize antioxidant levels and improved lipid levels in diabetic rats. --According to a 2010 study published in the Iranian Journal of Veterinary Medicine, leaf extracts decreased liver and serum cholesterol levels in hyperlipidemic rats. Note: figs have high oxalic acid, and should thus be avoided or eaten sparingly by those with kidney problems. To cut fresh figs, use the sharpest knife on hand to maintain the integrity of the soft flesh and pulp—otherwise, mushy pieces result from using a dull blade. Dried figs should be prepared like dates: soften them by soaking in water overnight or simmering them in hot water for a few minutes. Or, eat the chewy dried fruit as-is. Fresh figs are highly perishable, and their shelf life is a mere four days. To optimize their lifespan, keep figs under a paper towel and refrigerate in dry conditions. Place the fruits out of direct sunlight and only wash when ready for consumption. 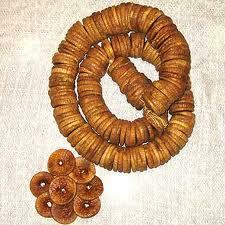 Keep dried figs away from warm areas, such as the kitchen counter, and place them in a cool, dark space. Refrigerating dried figs will also help preserve their flavor and prevent oxidation. --Chop for use in salads and mix with dates, oranges, apricots, greens and pecans. --Add as an unconventional pizza topping served with tofu ricotta on top. Other flavors that pair well with fig pizza include rosemary, olive oil, and rock salt. --Make stuffed figs by hollowing out the fruit and adding seasoned tofu, walnuts, herbs, olive oil and breadcrumbs. Or, roast them with balsamic reduction and a blend of flavored tofu. --Create creamy fig popsicles: whisk thick coconut milk, agave, vanilla extract, a pinch of salt, and fig pulp. Place in a mold and freeze overnight. 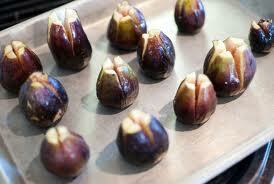 --Use figs as the base of pies and pastries. Figs are technically not a fruit, but rather a synconium. A fig is a “pouch” that shields the flowers, which later mature into tiny fruit-like clusters. Climate change researchers warn that rises in temperature may threaten the fig wasp population, the insects responsible for the fruit’s pollination. India has many idioms related to the fruit: one Telegu saying encourages people to look skin-deep, as a beautiful fig may be filled with wasps. In Uttar Pradesh, a saying goes that if something will remain incomplete, it has a “fig flower.” This is in reference to the flower’s elusive nature, as it is seldom seen by anyone. i have been growing figs for quite a few years, but of late the leaves curl up and the figs do not become plump like earlier, what to do? Informative article! I'll choose dried figs as described here. Thanks! I downloaded your two books. I plan to buy once I get back from India to U.S.
You seem to have omitted our Savior Jesus Christ cursing and setting ablaze a barren fig tree for not providing him with fruits when he was hungry. Anyone knows where they sell cuttings in india? I want to do it commercialy & I'm from tamilnadu, can i get some contacts who is doing already in tamilnadu? 1/2 a handful of dried figs, 1/2 a handful of dried dates, 1 handful of cornmeal. Add 2-3 cups of water and the above into a cooking pot. Heat and keep stirring frequently. When it's a "mush", take from the heat and eat. Can be served with cream. This is an approximate recipe known in Ancient Egypt as a preventative for all disease, eaten by the sacred ones, before the fall of Egypt. It's called Mummy Food. Eat 1-2 tablespoons daily. Bon Appetit! I am growing figs with out pesticides near Hindupur (Anantapuram, Andhra pradesh, India). Adopting Modern horticulture / farming methods we are able to supply fresh FIG (ANJEER)fruits to Bangalore & Hyderabad markets around 8 months in an year. I can supply fresh fruits from Nov till July. For Packs of 5KG approximately Rs.400.00, For Packs of 1KG Rs.90.00. For half KG pack Rs.50.00. Please note that the shelf life of FRESH FIG will be only 96 Hrs (4Days) after harvesting and You should consume before that. Plz contact 9845266866 for supply. Rs.90.00 + DTDC charges at actual. May cost around Rs.75 Extra for small quantities. If your Qty is better/ more than 10Kg per day Rs.105 per Kg will be delivered. can anyone tell me the Dry fig processing on large scale producton. small quantity Rs.150 Per KG. Please note that after plugging (cutting from tree) the shelf life is between 100-120 Hrs. if you want to store for more time you need to keep the fruit in fridge / cold storage with in 4 hrs of plugging. Does anyone deliver figs to Haryana? I have never seen these in Delhi/Haryana. hello sir in which season we have to Grow plant for the fig ?